Nazis and the Holocaust: Why did Josef Mengele misuse his knowledge? Why Did Josef Mengele Misuse His Medical Knowledge During the Holocaust? Auschwitz in Oświecim, Poland, in 2008. 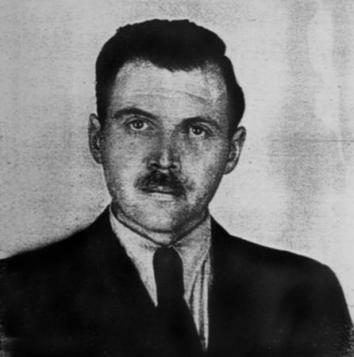 In my analysis of Josef Mengele, which I and my colleagues performed in the course of developing an exhibit about him, I can see three main reasons why Mengele “misused his knowledge,” as the question says. The first reason is that Mengele was highly ambitious. He seemed to desire accolades and status as a top scientist. 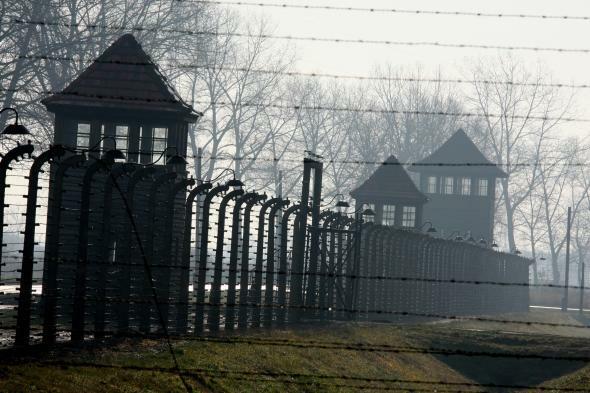 When his mentor described the cattle cars full of Jewish prisoners arriving daily at the Auschwitz concentration camp, Mengele did not see an atrocity. He saw an opportunity. To him, these Jewish prisoners were a seemingly endless supply of fresh material on which he could experiment. His ambition was stronger than his commitment to an ethical code, and he was willing to rationalize to himself that his actions were somehow serving science and humanity. Eva Kor, a survivor of Mengele’s experiments, described one example of this rationalization here. Rather than illegal and heinous, Mengele saw his genetic and medical experiments as necessary and useful. Even in his later years, when he had fled to South America, his journals reflect that he truly believed in what he was doing. The second reason deals with the question of why Mengele believed he was benefiting science and indeed, the world, through his inhumane experiments. Mengele was a product of the eugenics movement. This scientific movement of the 19th and 20th centuries attracted supporters in Europe and in America. Proponents of eugenics theory believed they could better the human race through selective breeding. Early eugenicists promoted the “positive” goals of their form of science, such as eliminating alcoholism and mental illness from the gene pool. But in typical fashion, most of these scientists believed the national, ethnic, and socio-economic groups to which they belonged were superior to others. American eugenicists lobbied for marriage restriction laws and forcibly sterilized tens of thousands of people based on their specious science. Nazi racial scientists took this view to its logical extreme conclusion: genocide of Jews, Roma/Sinti, the mentally and physically disabled, gays, and Slavic people. Ardent Nazis such as Mengele apparently believed they were truly bettering the human race by ridding it of people they deemed inferior. The third reason why Mengele misused his medical and scientific knowledge had to do with the atmosphere in Germany at that time. Mengele completed his academic training in an extremely racialized society in which Nazi orators, politicians, and lawmakers had converted Jewish-ness from a cultural and religious identity into a racial identity. When Mengele applied to be an SS officer, for example, he had to submit a genealogical chart proving that he did not have “Jewish blood” as part of his genetic makeup. One need only to examine a few of the speeches by people like Adolf Hitler and Josef Goebbels to recognize that in Nazi Germany, Jews were persistently characterized as a separate race no better than rats and other vermin. Political language and propaganda was saturated with these depictions of Jews as less-than-human pestilence. Small wonder, then, that Mengele would regard them as guinea pigs suitable for grotesque and inhumane experiments without regard for their lives as human beings. One of the main lessons we can draw from this point is that words matter, and depictions in mass media matter. When we see Jews today—or immigrants, or black people, or gay and lesbian people, or poor people—persistently referred to in derogatory terms or images, it has a cumulative effect on the public’s regard for the lives of those people. We must also note that Josef Mengele was well-educated. He had advanced degrees in medicine and anthropology and studied at Germany’s most revered institutions. To characterize him only as a deranged mad scientist or monster would be to overlook some of the most important lessons and dire warnings to be drawn from his career as a scientist and doctor. I have heard Eva Kor object strongly to the term pseudoscientist in reference to Mengele, because such a label fails to take into account his advanced training and relatively normal upbringing. A classmate of Mengele’s from the University of Munich said there was nothing out of the ordinary in his background that indicated he would become the “God of Auschwitz” and the “Angel of Death.” None of the Nazis who went on to perpetrate heinous crimes were born monsters. Rather, they were humans who became monstrous, or at least who perpetrated monstrous acts. If the top scientists and medical researchers of that era in Germany were capable of such monstrous acts, then today’s scientists and researchers are as well. We must continually present students and professionals with stories such as those of the people who survived inhumane medical experimentation at Auschwitz. Ethical codes and texts too easily become boring and seemingly trivial if we do not remember the human face of the victims and survivors. Nazi Human Experimentation: What was it like to be part of the genetic experiments on twins during the Holocaust? The Holocaust: What is Holocaust survivors’ advice for Germans on how to deal with their country’s past? Nazi Germany: What do Holocaust survivors think of their tattoos?